If use basic features + music listening,battery hangs about 4 days.Speaker is clear and without noise.Support .avi video.Good,cheap phone. Yes it does, Currently got a TARDIS live wallpaper on mine. AnonD-174449, 24 May 2015Does this phone support live wallpaper ppl.thanks in advance !Yes, it supports. Does this phone support live wallpaper ppl.thanks in advance ! 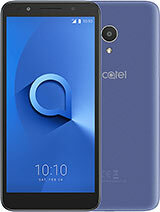 Grubber, 23 Feb 2015I have one specific question: Is the internal memory of this phone 4GB as it states on the spe... more2GB is reserved for the Android system and only 2GB is free-used capacity. 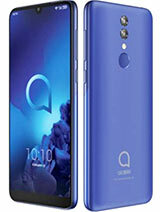 I have one specific question: Is the internal memory of this phone 4GB as it states on the specs? I mean, 4GB for applications. I've just bought a D1 and I'm satisfied with it! It's relatively fast and stable, can handle 2 sim cards well having great voice quality! 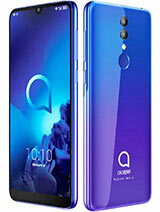 I'm fond of its shape, small enough for my pocket, it's a practical phone! The only thing that should be better is its screen, it should has higher density and resolution! rdcanfs, 29 Nov 2014I'm using Tigo right now (I bought this phone on TIGO and the phone is factory unlocked), but ... more3G Movistar El Salvador, I think that is not possible, is it? AnonD-339305, 07 Dec 2014Is really at $40 by TIGO?? 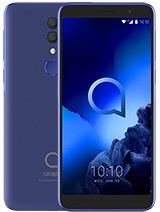 i am from ES also, but in their FB page and in their website, they ... moreThe promotion for $40 of this phone lasted until november. Now the price is at $50, but tomorrow 08/12/14 the price will increase to $70. rdcanfs, 29 Nov 2014I'm using Tigo right now (I bought this phone on TIGO and the phone is factory unlocked), but ... moreIs really at $40 by TIGO?? i am from ES also, but in their FB page and in their website, they are offering this model at $49 ?? From El Salvador Too, 25 Nov 2014What company are you using it with? 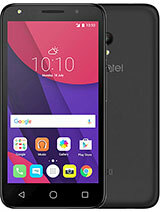 I want to know if 3G works on Movistar.I'm using Tigo right now (I bought this phone on TIGO and the phone is factory unlocked), but also works with movistar. I inserted my sim movistar and works fine on 3G too. AnonD-239322, 24 Nov 2014I bought this phone in my country El Salvador, for forty dollars and It's a really good phone ... moreWhat company are you using it with? I want to know if 3G works on Movistar. 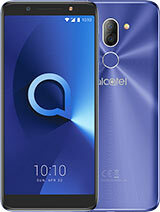 Total of 17 user reviews and opinions for alcatel Pop D1.